The Esplanade is a three and a half star hotel with simple, elegant and relaxed surroundings offering a warm and friendly service. 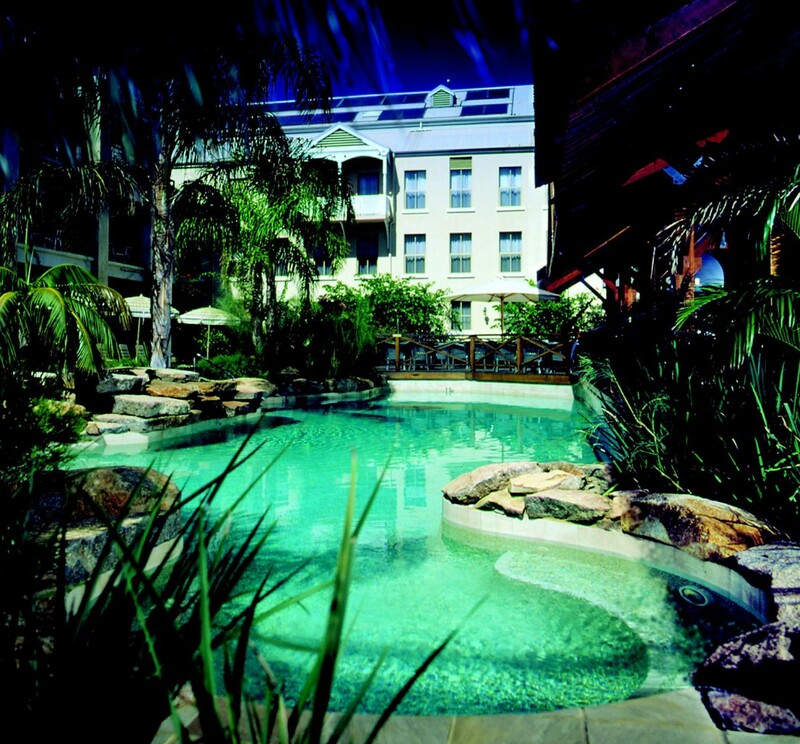 The hotel is located twenty minutes from Perth, thirty minutes from Perth's domestic and international airport terminals, a short walk to the centre of Fremantle and a five minute walk to the nearest beach. The hotel offers three hundred rooms and suites ranging from Standard Rooms through to Harbour Suites. Standard Rooms are located on the ground level with easy access to the hotel’s restaurants and bar area. Superior Rooms, Superior Poolside Rooms and Park View Rooms feature a queen bed and an en suite with a bath and a shower and a balcony. Deluxe Spa Rooms, located in the new Southern Cross Building, have a large balcony and an en suite with two person spa bath and a separate shower. Executive Junior Suites are large, well appointed rooms featuring king size bed, balcony and Jacuzzi spa. Premier Rooms are located in the Southern Cross Building and offer spacious king size bed, sitting area and bathroom with Jacuzzi Spa, double vanity and a separate shower. Harbour Suites have a king bed, lounge/dining area, bathroom with Jacuzzi, double vanity and a separate shower and views of the parkland and fishing boat harbour. The hotel offers a variety of dining experiences. 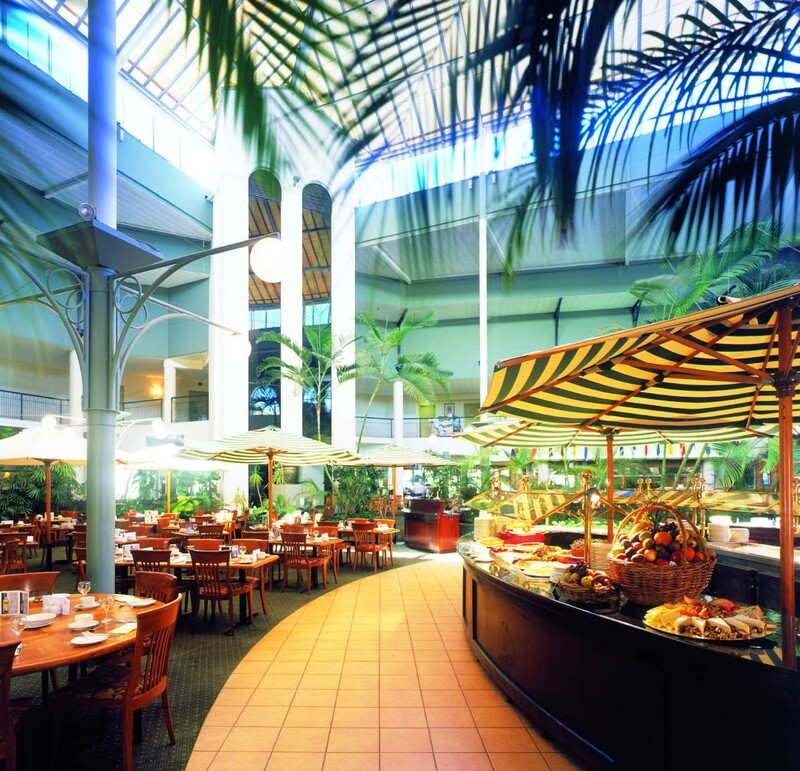 Dine in the romantic courtyard setting with an international buffet at the Atrium Restaurant or enjoy fine wines and superb service at Cafe Panache. Promenade Lounge Bar, with its signature Steak and Stella, is nestled amongst the palms.